The solution is simple to remove search the web edit box from the Windows 10 Taskbar e.g. enable, disable or customize! By default, the search box looks for applications, files, and settings for the computer, the OneDrive, and the Internet. However, you can choose to search only one folder, such as settings, files, pictures, web pages, and video clips on the Internet. Tip: ► ... full path in the Explorer title bar! 1.) ... Removing the search from the taskbar! 2.) ... Customizing the Windows 10 Search! See also: ► ... Search query in the Windows 10 File Explorer! 1.) Removing the search from the taskbar! PS. You can always open via [Windows-Logo]+[Q] keyboard shortcut the windows 10 search feature! 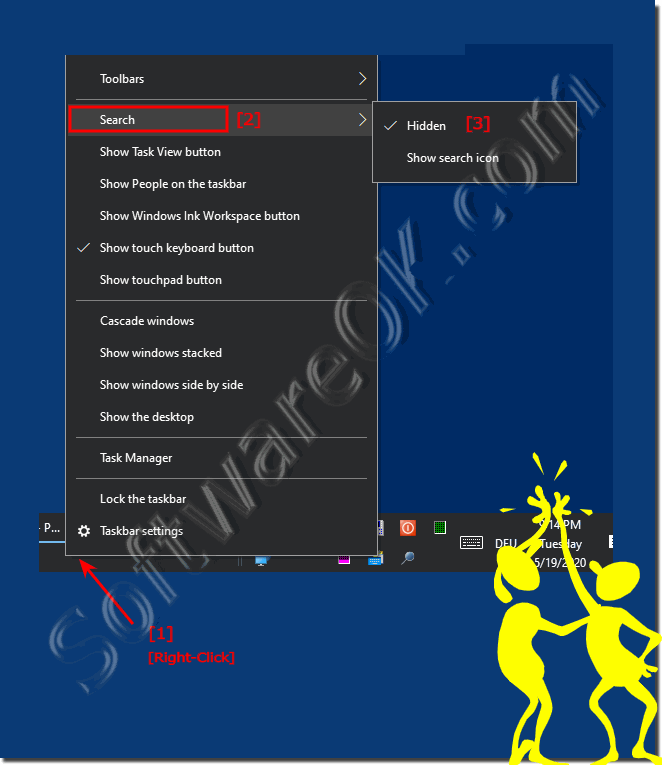 (Image-1) Disable search the web box in Windows 10 Task-Bar! 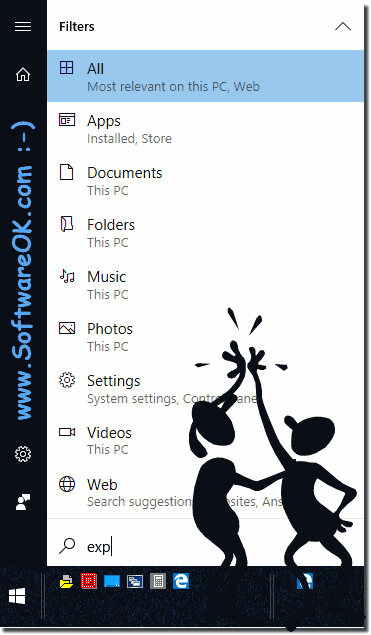 (Image-2) Windows 10 Task-Bar without the Search-Box! (Image-3) Search Icon on Windows 10 Taskbar! By default is the Windows-10 Search charm searches the files, apps, and Windows-10 settings on your PC. And also for OneDrive if conected, plus the web. You can choose to search for only one type of result, via settings, files, images on the web, or videos on the web. And if you're in an app when you open Search, you can choose to search only that app. 2.) Customizing the Windows 10 Search! If you open the search box in the application, you can only search in this application in some applications, this feature may not be available. (Image-4) Search Box Customize in Windows 10 Taskbar! 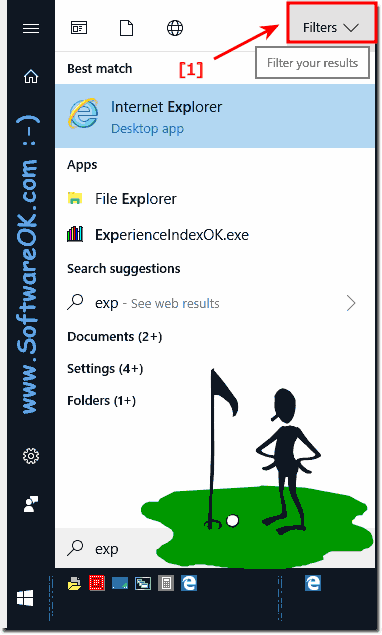 (Image-5) Search the web box in Windows 10! Some settings: Select search information for the Bing service and enable the adult content filter in the search results on the web. You can also delete the search history saved in the search field! Windows-10 - FAQ-32: Remove search the web box from Windows 10 Taskbar (enable, disable)?